This BLS Instructor-led course is designed for healthcare providers, EMS providers and anyone who is required to learn BLS CPR skills. This class teaches both single-rescuer and team basic life support skills for application in both pre-hospital and in-facility environments, with a focus on High-Quality CPR and team dynamics. American Red Cross curriculum. 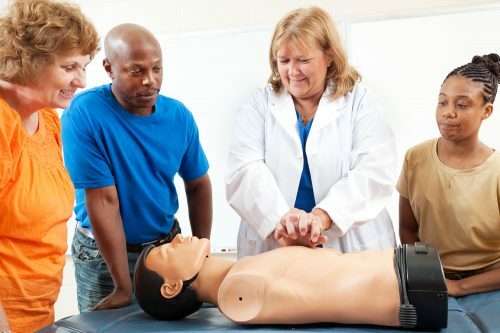 Students who successfully pass this class will receive their BLS/CPR card good for two years. Price includes all mandated materials.